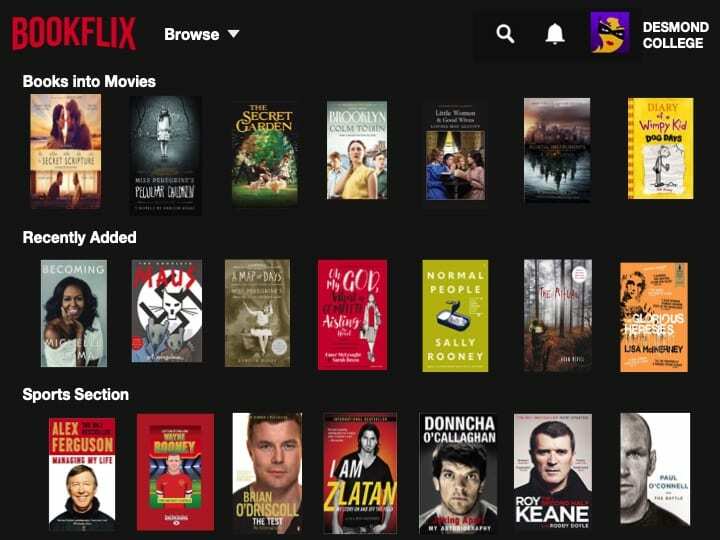 “I’m delighted to welcome you all to our website. 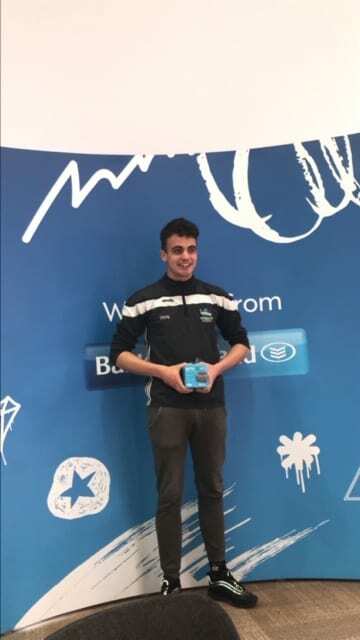 This week, James Taylor speaks to second two of our four Second Level National Finalists in the ESB Networks National Safety Challenge. 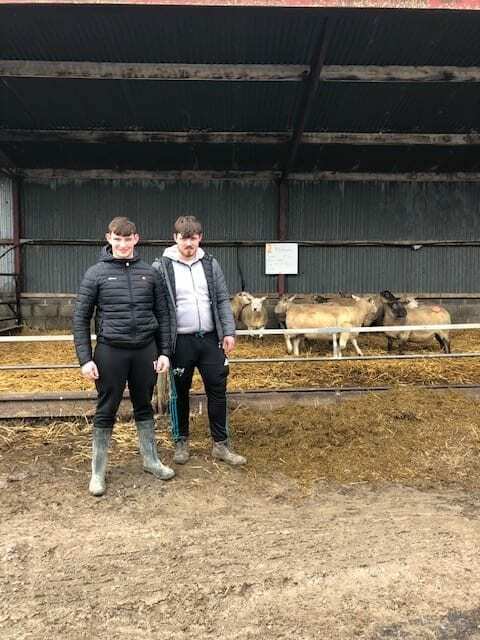 The ESB Networks National Safety Challenge is proudly supported by Safe Family Farms, a joint initiative between ESB Networks and The Irish Farmers Journal, to raise awareness and make farms a safer place for all. 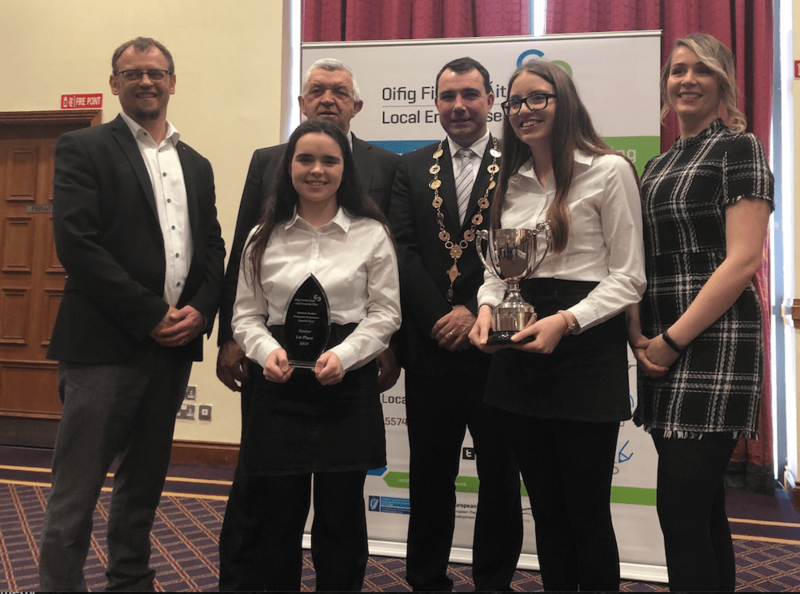 Kayla McMahon and Fiona Kelly from Desmond College have developed “Eye in the Cab”, a device that you attach in the cab of a tractor. It detects the angle that the tractor is at and alerts the farmer if they are operating at a dangerous angle. “So what it does is it detects what angle that the tractor is at, but while doing that then it also has a GPS device inside in it so that it allows you to locate where exactly where the tractor is so when it reaches a certain point it will send a text message to the In Case of Emergency (ICE) contact of the person in the tractor. 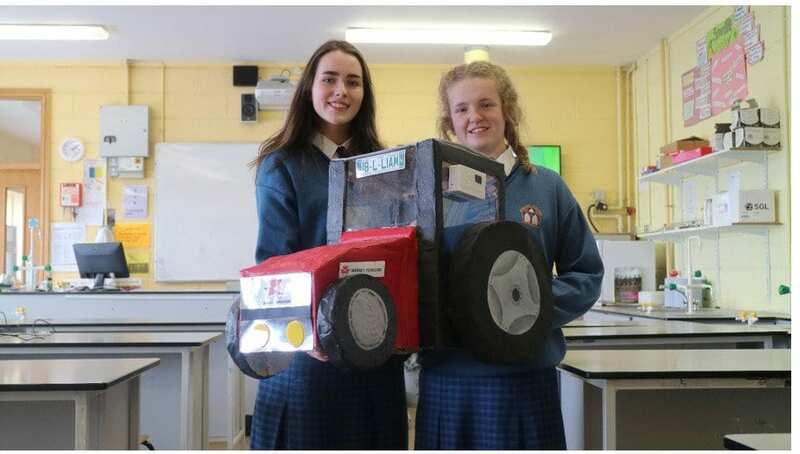 Using a gyro sensor, GPS modules, and an Auto Dialler, we built a device that recognises the angle of the tractor. Gyro sensors, also known as angular rate sensors, are devices that sense angular velocity. With the aid of an internal siren, it can alert the driver once a tractor has reached 35-degree tilt and can alter the driver’s ICE (In Case of Emergency) contact via an STMicroelectronics SPBTLE-RF Bluetooth Chip 4.1 auto-dialler, once the vehicle has reached or exceeded 45 degrees. The “Eye in the Cab” device can be fixed to the inside of the cab via magnets. It is also equipped with an emergency button on the front panel that the driver can press in an emergency. 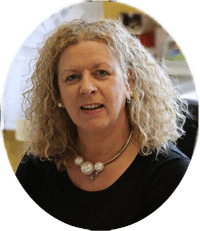 “Agriculture is a huge part of the lives of the people in Ireland. The fatality rate in agriculture is far higher than any other economic sector. 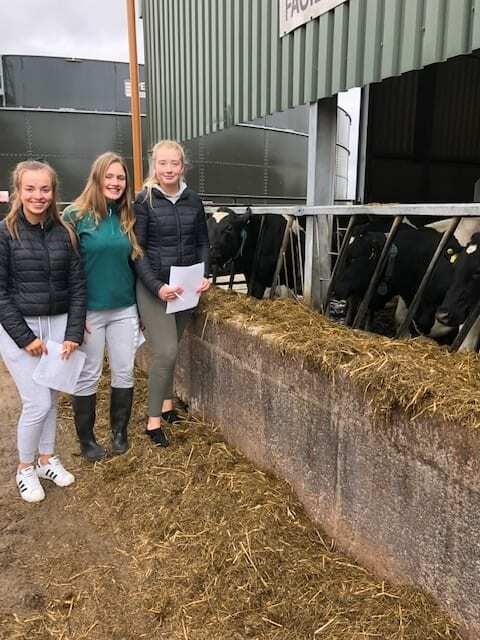 A large proportion of all fatal workplace accidents occur in agriculture, even though only a small number of people are employed in farming. According to research carried out by the Health & Safety Authority (HSA), machinery related accidents make up for 50% of farm fatalities. Factors that influence the probability of vehicles tipping over are the size, weight, angle of incline, terrain, front and back loaders as well as tyre size and pressure, the multiplicity of factor made it difficult for the driver, our device will serve as an early mechanism and help reduce accidents. 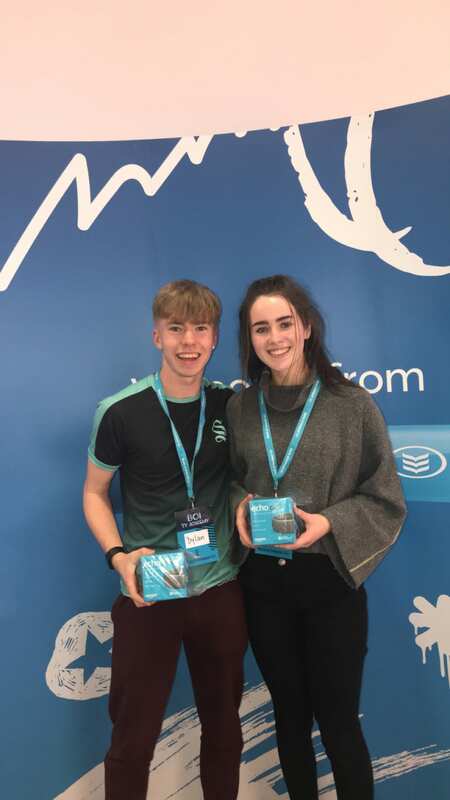 “To win the ESB Networks National Safety challenge it would mean a lot to us to know that like even in our young age we could potentially save lives with an idea and project we came up with ourselves and would mean a lot to us. 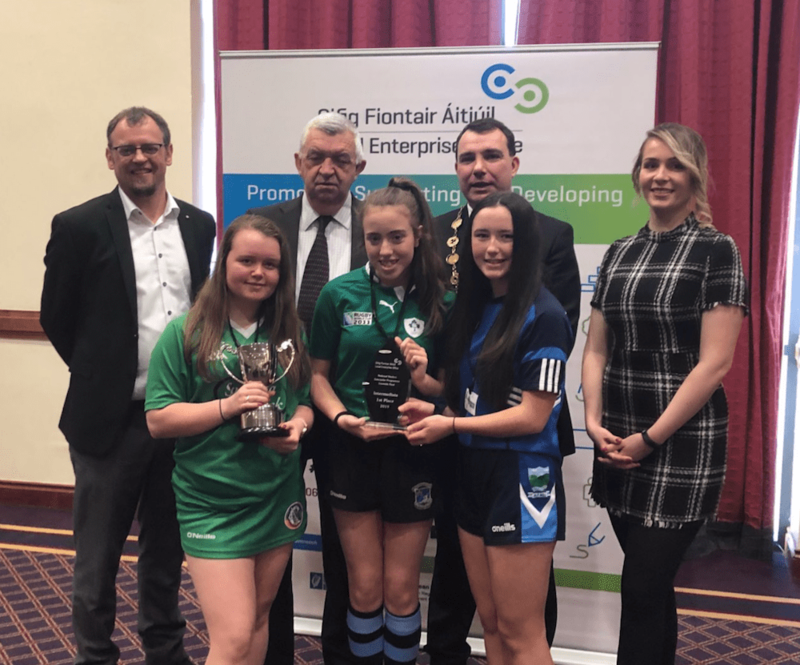 50 different mini-companies from 16 different schools across Limerick City & County descended on the South Court Hotel on March 26th for the annual Limerick Enterprise Office – Student Enterprise Awards. 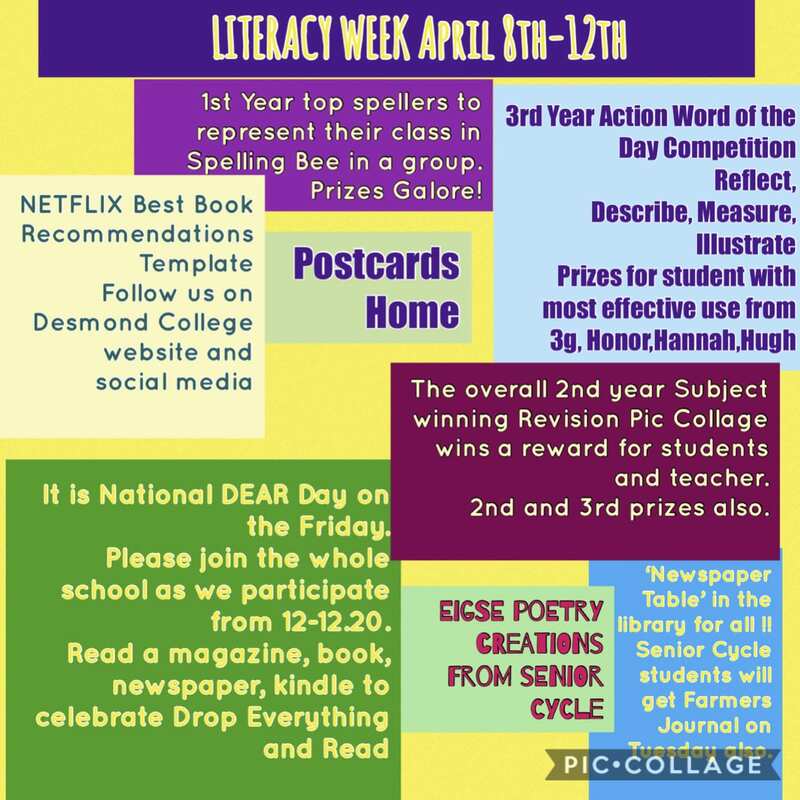 Desmond College was represented by 1st Years, Tara Danaher & Josh Dore who won 2nd place in the Junior Section with “The Empty Chair Company”. 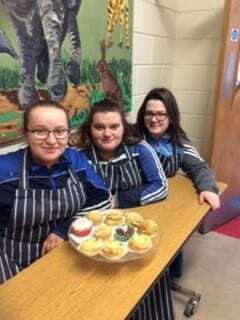 Aine Murphy, Lauren Ambrose, and Lucy Flaherty (all second years) won 1st Place in the Intermediate Section with their company “Hy Geeenie”. 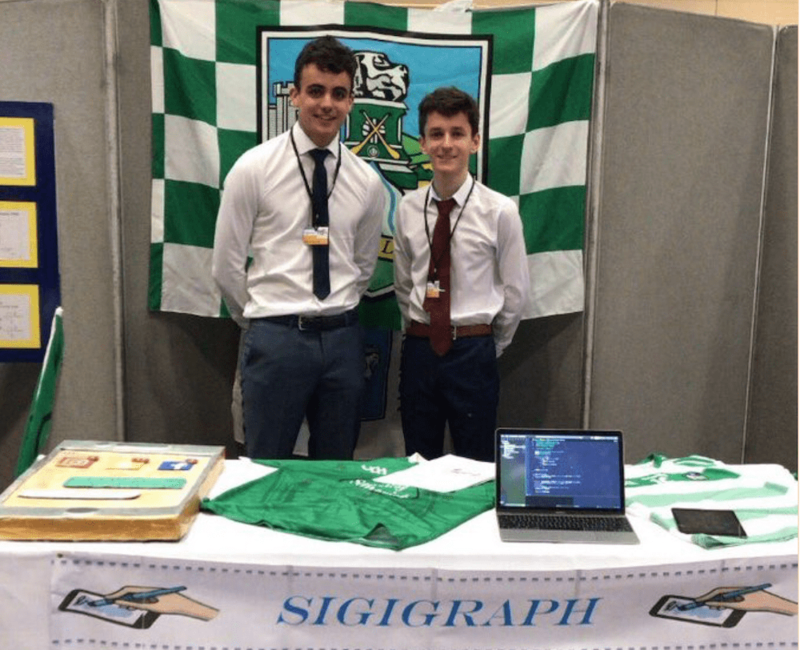 TY students, Oisin O’Sullivan, and Conor Fox, achieved a Highly Commended in the Senior Section with “Sigigraph” and Melissa Flaherty and Ciara Brouder won 1st place in the senior section with “Safety Harness Attachment”. 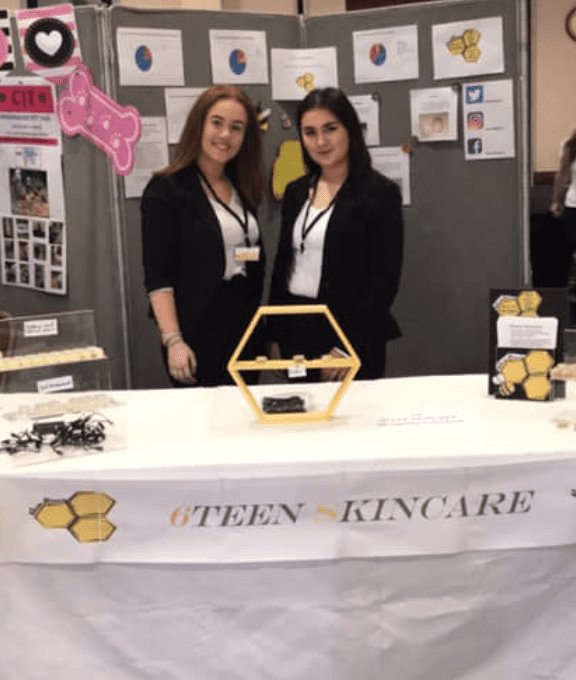 Megan Roma and Victoria Brouder also took park with their company “6Teen Skincare”. 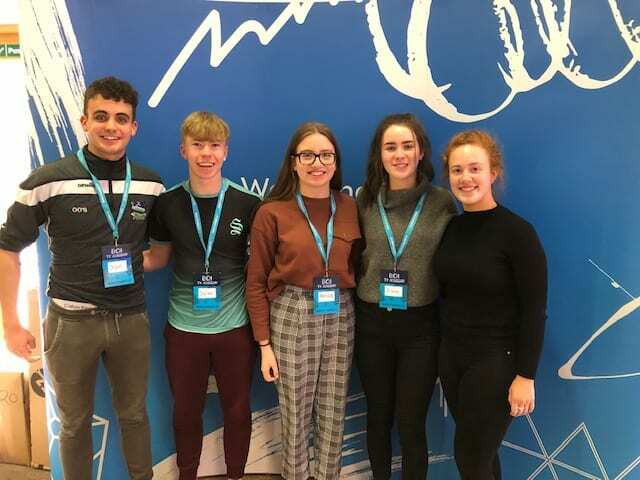 1st Place winners go on to represent Limerick in the All Ireland Student Enterprise Finals in Croke Park in May. 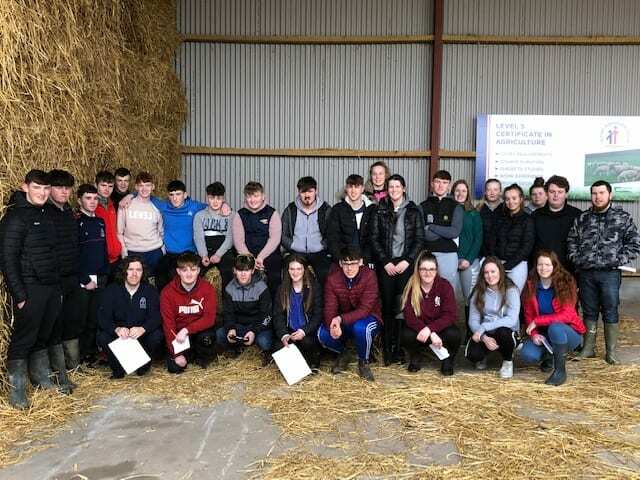 The 5th and 6th Year Agricultural Science students went to Pallaskenry Agricultural College on Wednesday 20th March to carry out a farm walk as part of the Ag Science syllabus. 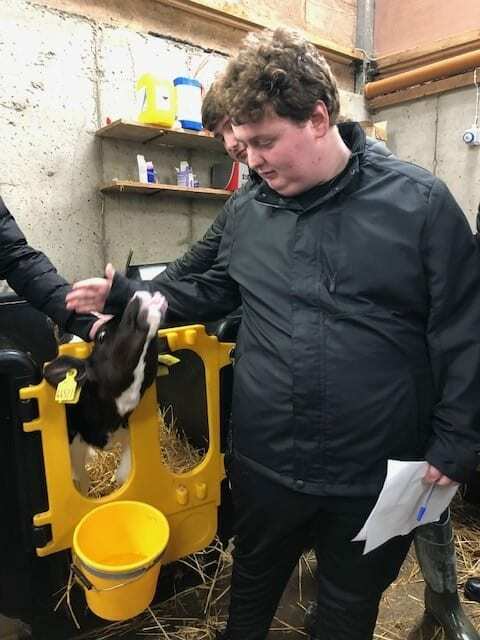 The students got a practical, hands-on insight into life on the farm.